Alamo Drafthouse and Birth.Movies.Death. 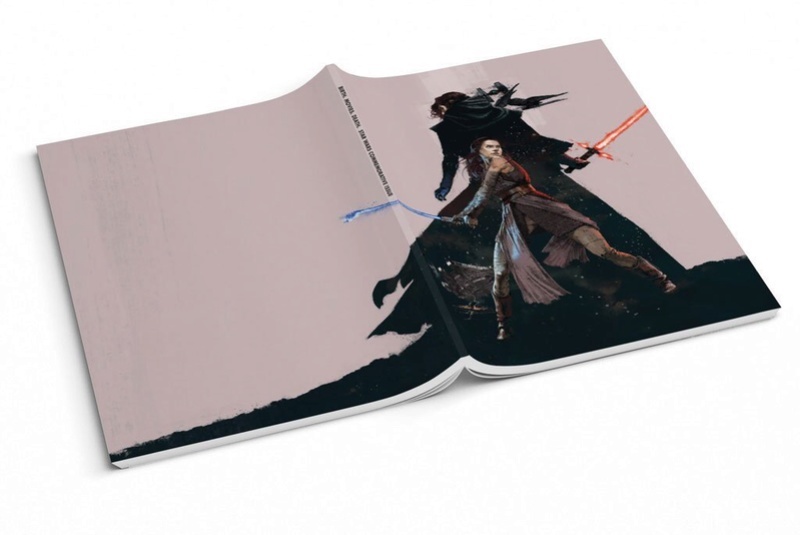 are celebrating the release of Star Wars: The Last Jedi with a gorgeous new collectible magazine filled with editorials, interviews and deep dives into the history of cinema’s greatest franchise. Featuring an exclusive Mondo cover by artist Marc Aspinall, interior art by renowned designer Chris Bilheimer, a stunning spread featuring some of Mondo’s best Star Wars posters, and a series of essays dedicated to the newest characters in the Star Wars universe, this is a must-read for anyone who considers themselves a Star Wars fan. The special issue can also be purchased with your advance ticket for the Star Wars: The Last Jedi at all Alamo Drafthouse locations. This is amazing! I hope we get an actual scene of Rey and Kylo as the bad*** fighting duo! That's beautiful! I wish I lived where there was an Alamo Drafthouse! I've just ordered it too! Can't wait for it! Thank you all for the reminder. I just ordered mine! Friend whose next date night w/her husband will be at the original Alamo Drafthouse for the Austin premiere has promised that if they each get a copy with their tickets, I'll get the extra one : ). Though I imagine soon enough it'll all be online.